What is HOPE Youth Corps? 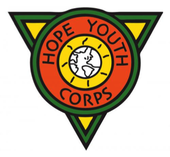 The HOPE Youth Corps (HYC) program was established in 1994 by HOPE worldwide and aims to encourage service for high school and university students. It has been extended to include all ages so families and seniors can also participate. The HYC programs take place internationally, with several programs in the United States, and many in developing countries. Participants of HYC programs will experience and learn many different spiritual lessons as they serve on their respective HYC. They will be able encompass the ministry of Jesus by preaching the word (Matthew 4:23), helping the sick and needy (Matthew 4:23), caring for children (Matthew 19:14), showing compassion and love (Matthew 9:35-36) and meeting needs as Jesus did. On top of that, HOPE Youth Corps are international; so you will be able to meet many of your fellow brothers and sisters from around the world and develop relationships and memories that will last a lifetime. Registrations are now open for HOPE Youth Corps (HYC) Fiji 2015. The cost is A$1650 plus airfares. Places are strictly limited and are expected to be all taken, so don't delay in getting in! We will require a A$300 deposit to process your registration. Once your registration is accepted, this deposit will be non-refundable. If you attend a church outside the South Pacific Region, please register on the HOPE worldwide US web site. Priority is given to International Church of Christ members, but if you are not from one of these churches, please still consider registering.